Discussion in 'Non-WOT - Literature and Fiction' started by Elia LePhant, Dec 17, 2018. For one thing, they really took liberties with the story! For instance, the entire conversation of Harville and Anne about men and women and constancy is a pivotal point in the book, and where Wentworth writes his letter!! And yet, they don't even have that. They changed it to Benwick and Anne, halfway through the movie, and Anne gets the letter randomly at the end after much rushing around. No Wentworth dropping his pen and forgetting his gloves and giving a meaningful look ... it was missed. Also, there are so many face close-ups and breathing loudly ... and pale, washed-out colours. It just wasn't for me. And I thought the costumes were boring. By the way, I think each version didn't really do Mr. Elliot justice. They made up reasons for why he was worse than in the book. For instance, the 2007 says he's courting Miss Clay at the same time as Anne. Which maybe is implied in the book, I don't know. And the 1996 version says he has no money anymore. I believe in the book, he's just a rotten guy who was super arrogant at one time about Anne's family, and then a bad friend to Miss Smith and her husband, not to mention mean to his wife. Isn't that bad enough? Do they have to make up stuff? All in all, this makes me realize that we are past-due for a longer and more detailed version of Persuasion, one that has more time to fit in everything!! We have Emma, S&S, P&P, and it's time for this one to get some love! Also anyone know if there's a Bollywood version of this? Juliya, I agree completely with your assessments! I really want a new full-size adaptation that is true to the books and well done. I think all the Persuasion adaptations have their own drawbacks, and none of them completely satisfy me. Any recommendations for the next book or do y'all want me to just choose out of a hat? I am okay with you choosing, Elia Sedai! 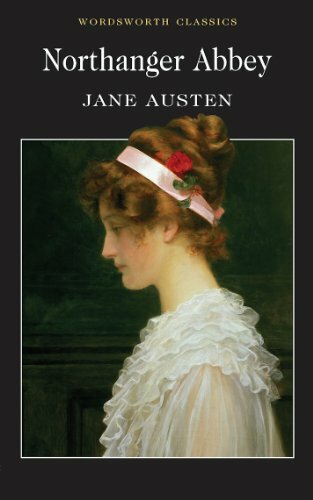 The Austen books are on Librivox for free! They are in text and audio book format. I put the text on my kindle and have the 007 app read to me. I got her collected works for free on Kindle. All of the books in one volume. I wasn't here for the Persuasion read, but I might try to join in for the rest! I've reread Persuasion recently anyway. It's my favorite so far, but I haven't read everything Austen yet. Does anyone have suggestions for where to find the Persuasion films? Amazon has the 1995 version, but I haven't had any luck finding the others. The 1971 is on Youtube, split into multiple parts. As for the 2007, I got it from my library so not sure how to help. Okay, it's time! It's time! 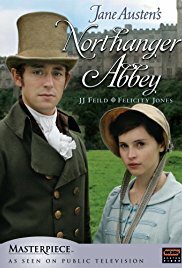 For our next installment of the Great Austenathon... Northanger Abbey! Now go forth and read one of the cutest gentlemen in Jane Austen - Henry Tilney! Oh, excellent! 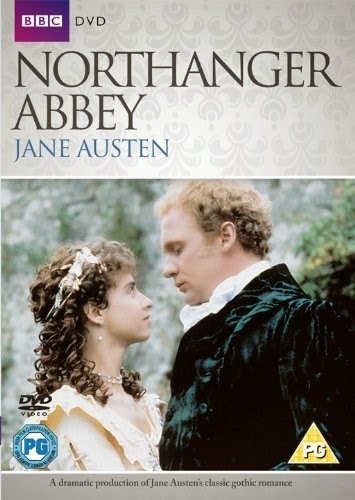 Northanger Abbey is my favorite. I just ordered this from the library so hopefully will start listening to it soon! I started reading again after taking a break. It is so cheeky! I will get to this, I promise! I just need to finish the fiction I'm currently reading plus that one for the book club on Monday I haven't even started yet. So next week! I started listening yesterday and it's so fantastic. I especially love her defense of the novel. Isn't it great? I'm loving how she inserts little cheeky remarks throughout the story too. And I forgot how Annoying Isabella is! I am doing the thing! Right up: what's wrong with the name Richard, Jane Austen?